What's so special about Valentine's Day? Holiday in Vietnam this Valentine's Day in addition to the romantic sweet experience, visitors also enjoy the atmosphere of the days near the Lunar New Year - the largest festival of the year in Vietnam. That is a very rare thing. This year's Valentine falls on the last days of the year (according to the lunar calendar). The time that everyone is preparing for this festival. If you are worried about finding an ideal destination for your valentine day or your honeymoon trip. Here's our recommendations , these are really romantic destinations in Vietnam for lovers or tourists looking for peaceful places. A luxury cruise has never been a bad idea for a sweet treat on Valentine’s Day. Imagining a dinner in the sunset of the sea, with your table set up on the cruise’s sundeck, that would be a perfect picture one could ever think of when it comes to romance. Halong Bay is world-famous for its unique and ethereal beauty of more than 1600 limestone and karsts, peaceful sea water and various activities across the bay. 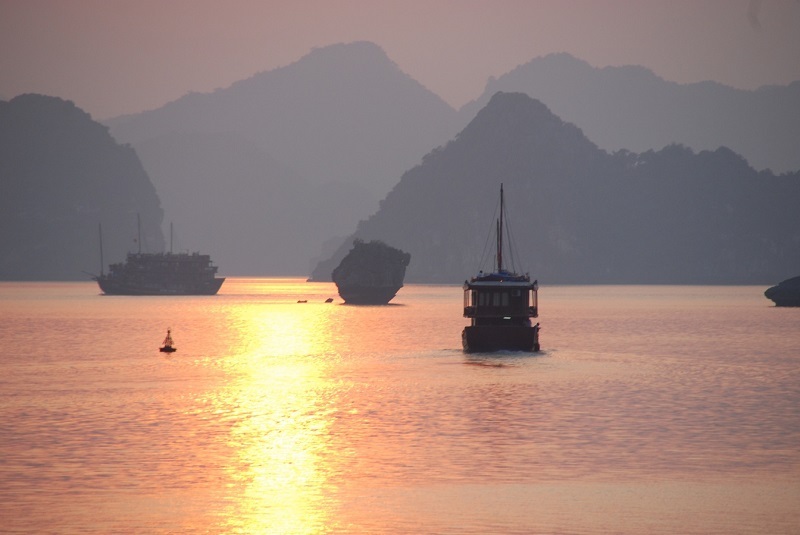 Originally the most attractive destination in Vietnam, Halong Bay has recently gained more attention for its friendly and sustainable image. When coming to this World Heritage Site, cruising in one of those luxury cruises overnight has been a favorite, if not a must for travelers around the world. In fact, there’s no better way to discover the destination than a cruise. 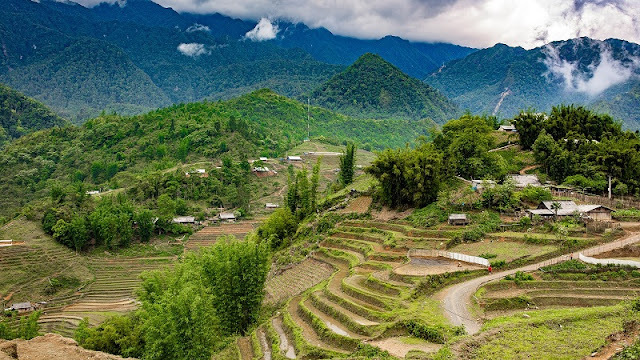 If you are fond of authentic natural landscape and sceneries and harmonizing with the atmosphere at the peaceful countryside, Sapa is absolutely the best choice for you. Usually called “the Ancient Paris in Vietnam”, Sapa is blessed with a cool weather, winding rice terraces. In addition, tiny houses hang on the hills and local crowded kermis on mountains are exciting experiences on your Valentine’s day. A quiet and peaceful atmosphere is the thing Hoi An Ancient town will offer to you on this Valentine’s romantic trip. Going hand in hand with your beloved, cycling around the small winding streets in Hoi An and enjoying some street food will ensure you the best memories. 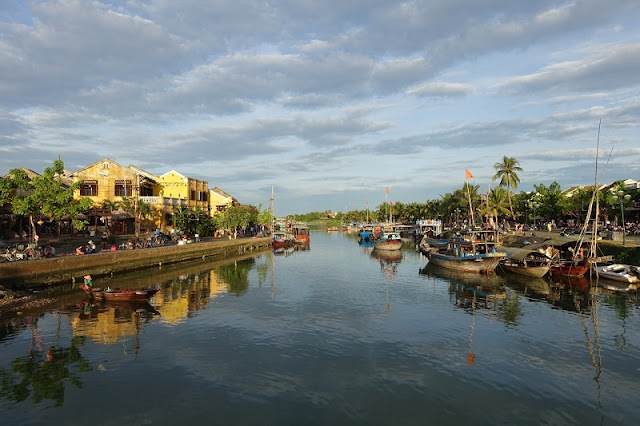 Moreover, in Hoi An, couples also should spend time on siting on a riverbank and watching twinkling lights emiting from the coloful lanterns at night. Located in the Central Highlands of Lam Dong City, Da Lat has always been famous for its charming, romantic landscapes and bizarre architecture, which deserve the title “The city of Love”. Therefore, this small city is always first choice for couples on Valentine’s Day. 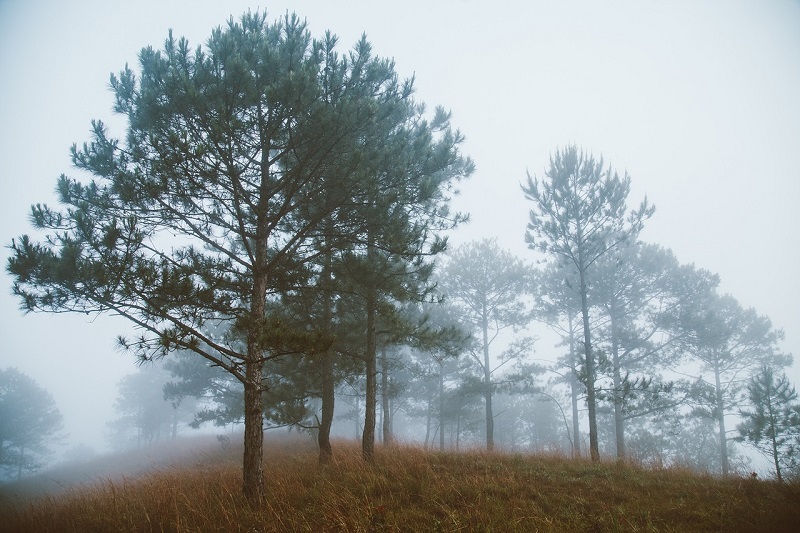 What makes Da Lat a naturally romantic city itself? The fact that Da Lat is the biggest flower meadow in Vietnam makes it a flower heaven in every corners of the city. Ladies love flowers, no matter how they always grumble about how much you paid for them. Just take them to the flower world and your lady would consider you as the most romantic guy in the world. This tiny city is full of places with interesting names, enough to prove its romantic title. Love Valley, Dreamlike Hill, Lake of Signs are favorite attractions by young couples on their dates. Enjoying a romantic date in the daylight would be an exciting experience on your Valentine’s Day. Gifted with the coast line of 3200km, Vietnam owns some of the most beautiful beaches in the world, which is full of warm sunlight all-year-round. To name a few: Nha Trang, Phu Quoc and Mui Ne are definitely in the top list when you think of a beach date on Valentine’s Day. The infamous world of white sand and emerald water has named Nha Trang in the top 10 beaches in the world. 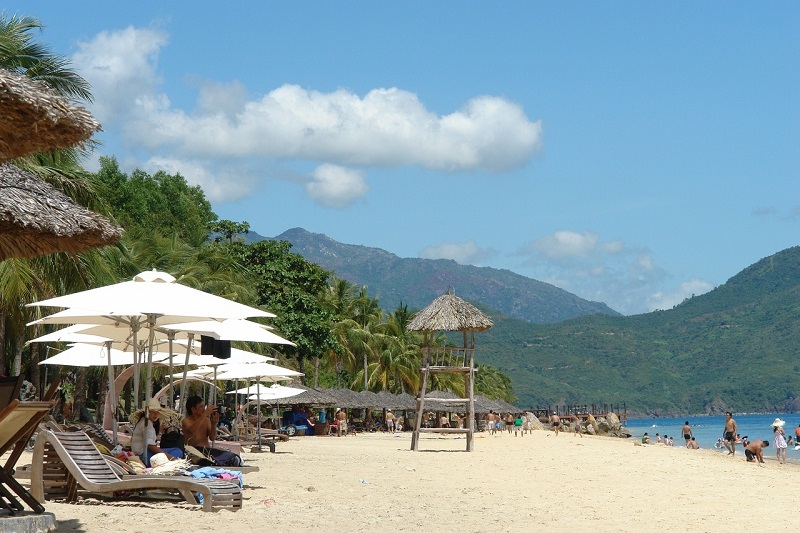 The first thing one should do when arriving in Nha Trang is heading straight to the beach. You will find yourself immersed in the sea’s charm all day long. Sunbathing or just enjoying a walk together, feel your feet dipping the soft white sand and the breath of love through ocean wind. Water-based activities are also a different appeal of Nha Trang you have to try to really experience the destination fully.